Few things are worse than opening a pack of CCG cards and getting nothing you can use — especially from your rare slot. CD Projekt Red understands that frustration and so is planning to be a bit more generous with Gwent: The Witcher Card Game by offering players some control over this normally random event. 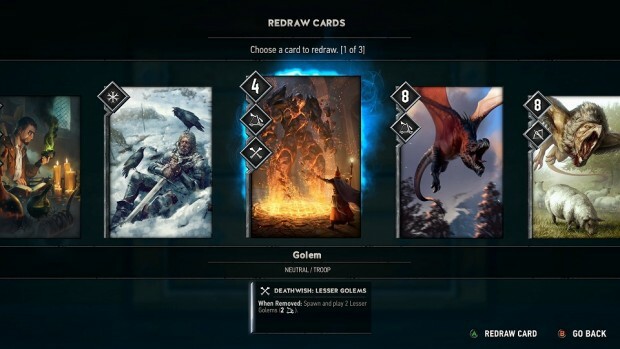 As Gwent Development Director Ben Lee explained to Mashable, when you open a pack of Gwent, you’ll get the usual five cards, but your first card — guaranteed to be rare or better — will let you choose one of three cards. The other four cards have a chance to come from any tier of the game’s rarity: common, rare, epic, or legendary.